I love strawberries. I love white cake. I love strawberry shortcake. 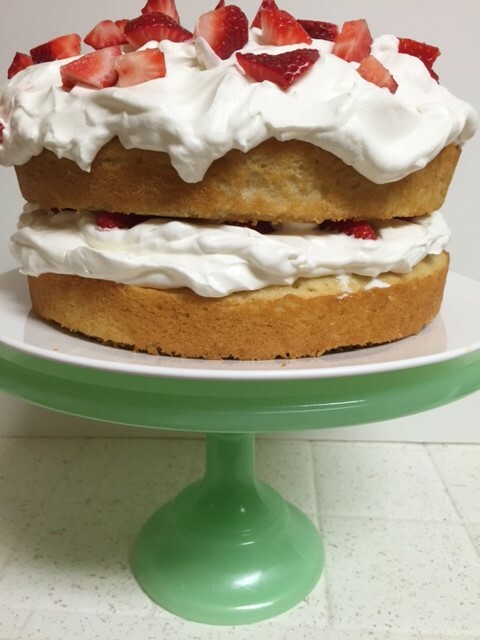 So, why not make a strawberry shortcake cake. 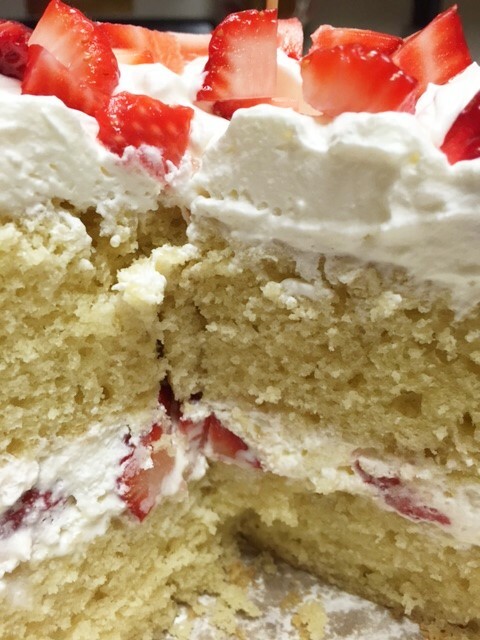 This particular cake is my go to white cake. 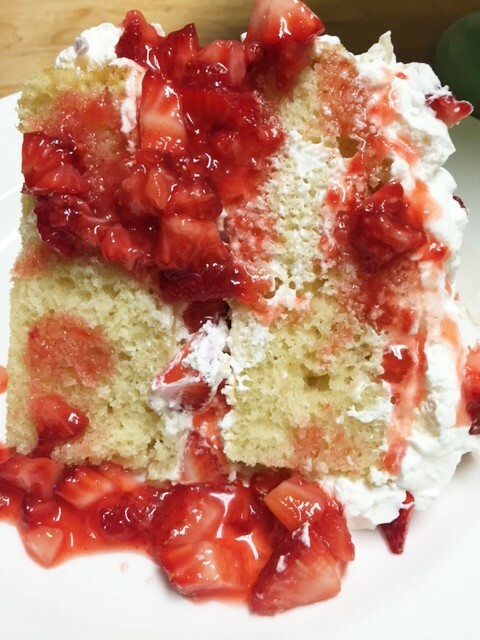 It is easy to make, it’s moist, has a nice light texture and it’s delicious. You can use this cake as a base for so many cakes. You can add citrus zest…..lemon, orange, lime. 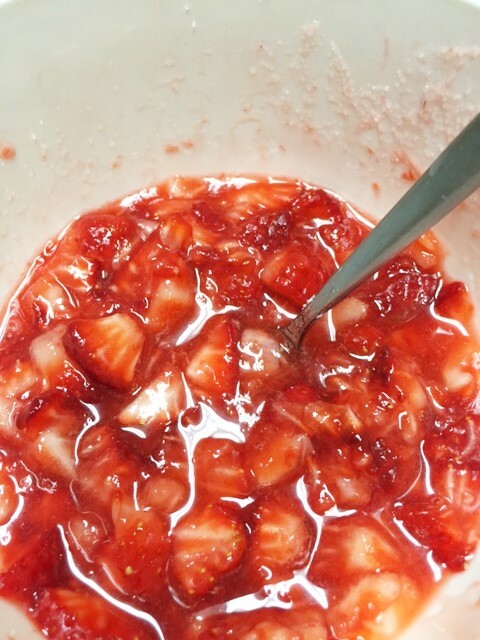 You can add fruit, right to the batter. Any filling and frosting is good with this cake. It’s just an all around great cake. Trust me, you will use this recipe over and over. All I can say is that if you are going to make a multi layer cake, you may want to insert a few cake dowels or long skewers through the cake, to secure the layers in place and then chill it. Whipped cream just doesn’t really have the stability that other fillings have. Your guests will love this cake. That is, if you share! Hahahah. 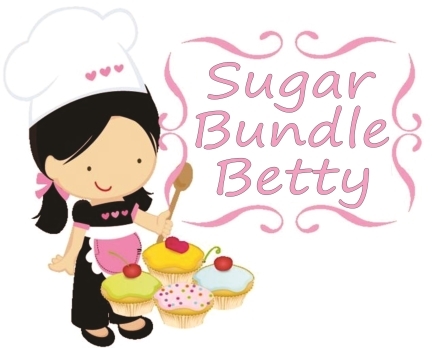 In a bowl, sift together the flour, cake flour, salt, baking soda, baking powder and sugar. Set aside. In a large mixing bowl, whip together the oil and shortening until very smooth. Add vanilla. Add the eggs one at a time and whisk until smooth. At a low speed, add the dry ingredients and buttermilk alternately, ending with the dry ingredients. DO NOT OVER MIX. Spray 9 x 13 baking dish, or 2 8″ round cake pans, with a non stick cooking spray. Pour batter into pan(s). Bake for approximately 30 minutes, or until toothpick inserted into the middle, comes out clean. If using a 9 x 13 baking dish, you can leave the cake in the pan. If using round pans, allow to cool in the pans for at least 15 minutes before you remove cake. 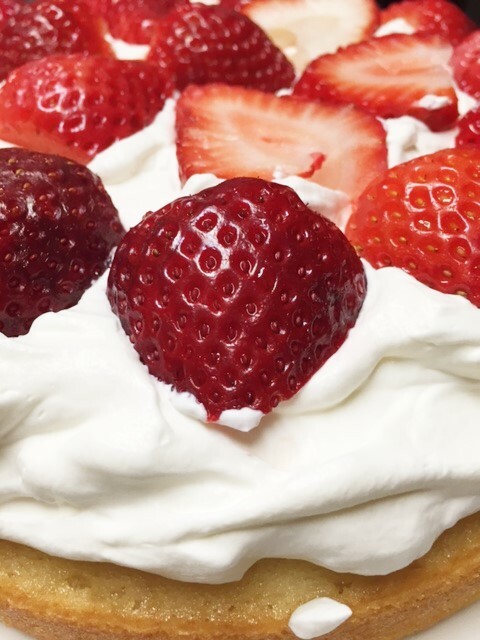 Prepare the whipped cream, by mixing together the whipping cream into nice peaks. Sprinkle in the powdered sugar and whip until you have nice soft peaks. Once the cake has completely cooled, frost with whipped cream. Top with fresh strawberries. Keep cake chilled.